Home loan is generally taken either to buy flat/house, construction of house or renovation. Home loans are usually sanctioned for maximum long tenure of 30 years. It is observed that the average period people take to pay off their home mortgage fully is around 8 years. As per RBI circulars, banks are not allowed to charge prepayment penalty or charges on floating rate home loans. However, banks may charge penalty on prepayment of fixed rate loans. Charges may vary from 1 % to up to 3% of the loan amount. It is common knowledge that taking a home loan is the only way a person in his 30’s or early 40’s can afford his family a home. When you take a home loan, you commit to paying almost EMI (Equated Monthly Installments) of as much as up to 60-65% of your monthly income for a period that can be as long as 30 years. So, you take a large and long term obligation. Hence, it is important that you make the right decision that doesn’t hurt you in future. This guide is targeted at helping you understand home loans better in simple language and draws upon the long experience of the MyLoanCare team in helping people with their loan requirements. Common mistake most people make is to opt for the longest loan tenure in order to maximize loan amount eligibility and minimize EMI. Before you join the millions of bank loan customers in India in committing this mistake, just understand what it costs. On a Rs. 40 lakhs loan at 8.60% for 15 years, the EMI is Rs. 39,624/- and the total interest you pay to the bank over 15 years comes to Rs. 3,132,392/-. If you opt for 20 year loan tenure instead of 15, for the same loan amount and at same interest rate, the EMI is 12% lower at Rs. 34,967/- but over 20 years, you pay Rs. 4,391,962/- as interest, which is 40% higher than on a 15 year loan. How much EMI you can comfortably pay every month – this should not exceed 60-65% of your net post tax pay. Calculate your loan eligibility for various loan tenures based on this EMI and your age. Opt for the shortest loan tenure that meets your loan requirement. In addition to your salary, also inform the bank about your other fixed income such as rent and interest to increase eligibility. In case the loan amount you need is more than the maximum loan eligibility, you may add upto 3 of your earning family member as co-applicants to increase the eligibility. Note that the loan amount cannot exceed 75 – 80% of the cost or market value of the home you are buying. So, make arrangement for the balance amount (also called margin money). Banks that have approved this project. You can check this here on MyLoanCare. The payment plan scheme under which the project has been approved – builders sell projects under time linked plans (TLP), construction linked plans (CLP), subvention schemes (80:20, 10:80:10, 10:10:80, 6:88:6 and others). Most banks fund projects only under CLP. Some housing finance companies fund projects under TLP and subvention schemes. Typically a very large number or builder projects are approved under CLP but the approval list for TLP and subvention schemes is much shorter. Total cost of the flat may include various heads like basis price, PLC, parking, EDC, IDC, electrification charges, club membership fees, security deposit, maintenance charges, stamp duty, registration charges, service tax and VAT. Typically, banks will fund upto 75 to 80% of the eligible cost, which will not include the items mentioned in orange above. Some banks may fund service tax and VAT partially. In case the builder is offering possession, will the conveyance deed be simultaneously registered or not? Sometimes, there may be a gap of 6 months to a year (or even longer) between possession and execution of conveyance deed. Some banks may not fund projects during this intervening period even if they are on approved projects list. Ensure that all payments to the builder are made by cheque from your own account only. The property should be registered in the name of the seller and the entire chain from first conveyance of the property upto the last sale should be available. For self constructed property, approved map plan should be available. Some banks will fund upto 150% of the registry amount subject to 75% of market value. Few banks may restrict the maximum loan amount to 75% of agreement value and 75% of market value, whichever is lower. Banks don’t fund properties in gram panchayat areas or those built without approved building plan. 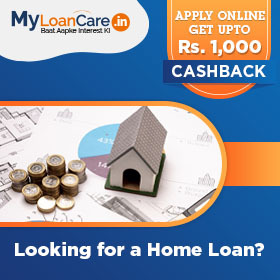 At MyLoanCare, in the current market scenario, we recommend floating rate loans over fixed rate ones. This is mainly because we expect rates to trend down over coming months. Secondly, floating rate loans come with nil prepayment charges unlike fixed rate loans. Fixed rate loans may be advisable in a situation where you feel that your monthly cash flows (after paying off EMIs and other expenses) cannot take any additional burden/ unpredictable increases on account of interest rate rises. Fixed Rate loans, however come with a higher rate of interest than floating rate loans and typically carry a pre-payment penalty charge. Another catch with fixed rate loans is "How fixed is the so-called fixed rate?" A fixed rate is seldom fully fixed. Most banks offer fixed rate for the initial period and convert this into floating rate thereafter. Fixed rate period may vary from 1 year to 10 years though the total loan tenure may be upto 30 years. Always check what will be the applicable rate after the fixed rate period ends. Many customers have often complained that they see a sharp increase in interest rate when the loan converts from fixed rate to floating rate. This is particularly true for fixed rate loans from LIC Housing Finance. While home loans are sanctioned for a tenure of upto 30 years, rarely do people actually run the loan for that long. Each one of us wants to pay off the loan at the earliest and own our home fully. It is observed that the average period people take to pay off their home mortgage fully is around 8 years. This happens because most people make partial or even full prepayment of the loan when they have surplus money. After all, it may not be a bad idea to use your annual incentive to pay off your home loan partially. It is important to select a bank that allows you to prepay your loan without any charges or hassles. As per RBI circulars, banks are not allowed to charge prepayment penalty or charges on floating rate home loans. However, banks may charge penalty on prepayment of fixed rate loans. Charges may vary from 1% to upto 3% of the loan amount. So, check this aspect carefully before selecting a bank and home loan. Another option is a smart loan or an interest saver loan. Do you normally keep a significant bank balance or do you run high bank balance at times? 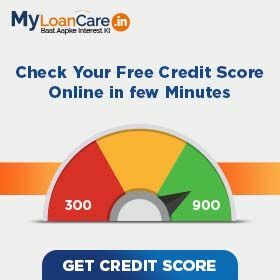 You may like to consider Home Credit or Home Saver or Maxgain options which allow you to deposit your surplus savings in a bank account and pay interest on home loan only on the net difference between the two. So, for the period that your surplus cash stays in the bank, you pay less interest on your home loan. Turnaround time and customer service levels: Read the customer ratings and reviews of banks by customers like you who have availed loans in the recent past. Their experience may help you make a better choice and avoid common mistakes. Check which banks will offer you doorstep service and for which ones would you need to visit the bank branch. Check the past base rate trend of the banks you are considering. This can tell you if the banks changes rates too often. Check if the bank passes on the benefit of lower policy rates to its old customers or not. Click here for current base rates of banks in India. Compare offers and choose the one that’s best and not necessarily the cheapest – By now you have a good sense of your loan requirements and can compare loan offers from multiple banks. Compare offers on interest rates, processing fees, customer ratings, servicing and all-in-cost.